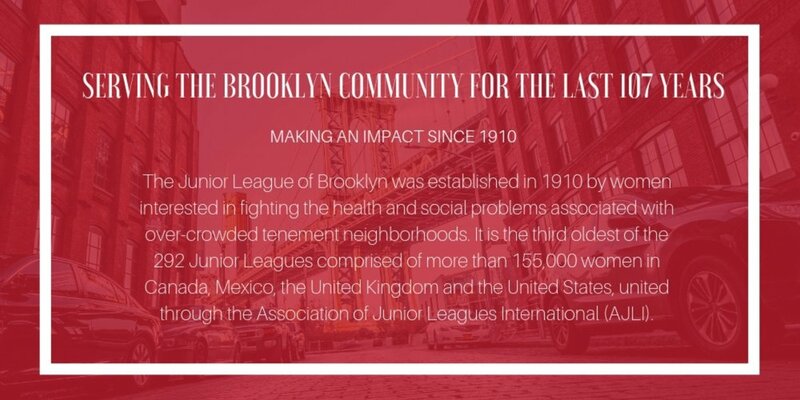 Founded in 1910, the Junior League of Brooklyn is an organization of women committed to improving Brooklyn communities by promoting voluntarism and developing the potential of women. The Junior League of Brooklyn members are hands on volunteers who receive training to make them valuable community leaders within Brooklyn communities and beyond. Potential members are encouraged to attend a Information session, and then apply and join our provisional training program, where you will learn more about what we do.